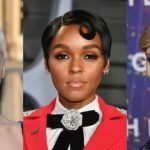 Rolex manufactures several stylish watches each year with certain signature features which are missing in fake watches bearing the brand’s name. You should be on the lookout of such attributes to save yourself from buying counterfeited watches. To begin with, go to well-known Rolex approved dealers. 1. The outer box of real watches sports the iconic crown logo in a pale shade with a tangible 3-D like effect. The logo is darker with no such special effects on fake boxes. 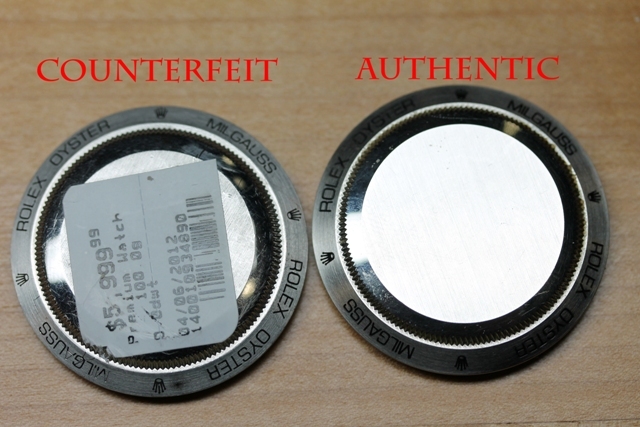 Do not deceive yourself if you get an outer slipcase, as this is common for both real and fake watches. The real box flaps are flexible and open smoothly while fake box flaps are rigid because of their untrimmed finishing. An original box has the logo on its seam in a light green shade with proper spacing of the letters, but the fake box exhibits a darker and uneven lettered logo. The edge of the real box is even smoother than the fake ones. 2. A real main box comes with a fine finishing on its edges, sides, top, and bottom, and this is what a fake box misses out. It has folded and unfinished seams throughout the box. The authentic box due to its wide hinges opens more than the fake box as the latter has narrow and smaller hinges. The real box is also featured with stronger springs which make the opening easy and supple. The bottom of a real box has wordings with easily readable thick fronts. The fake one showcases engraved writings but only with poor and thin fonts, making it difficult to read. 3. The inside part of an original box is soft, but it is hard in fake boxes. The cushions of the original boxes are neatly sewn with a proper seam, but the fake boxes fail to have that. Moreover, the inside flap is evenly glued to inserts of the original boxes, and in the fake boxes, there is no insert. 4. The map that comes with both original and fake boxes are both real but it is the quality of the printing of the logo that makes the difference. 5. 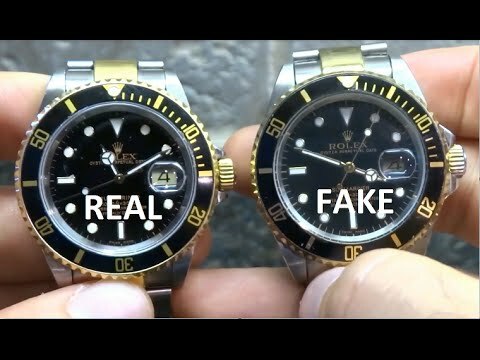 Fake Rolex watches have tags with an older styled hologram which is just reverse in authentic ones. 6. There are three types of real boxes available for Rolex. The smallest box size is 3X6X4.5”, while the medium box has dimensions of 3X7X5” and the largest box measures 3.5X8X6”. Each model of Rolex has its own specific box. 116713 GMT-Master, 116613 Submariner, 116710 GMT-Master, 116610 LN Submariner, and 116610 LV Submariner Date, these come in the small box along with a bezel protector and a foam sheet. Also, you could get the smell of real leather from the green box. 16600 Sea-Dweller, 116618 Submarine Date, 116718 GMT-Master II, 116660 Deepsea Watch, Daytona model number 116519, 116518, and 116520 are available in medium-sized boxes. 116660 Deep Sea and 116528 Daytona are available in the large box. Note: Both small and large boxes are used for 116613 Submarine Date collection. Authentic Rolex manufactures use platinum, stainless steel, and 18K gold but false Rolex watches might be gold plated or made of 18K gold. An original watch showcases convex lettering on the dial without any bubbling. A magnifying glass would help you see how precise the words are, needless to say a fake watch lacks this quality. As lots of real dials are mixed with fake bands, so it is important to know how an original band looks like. It should be straight when placed on a flat surface. Also, take a close look at the link spacing as they are supposed to fit together. Although the spacing will widen and expand in future, their base will remain in shape. Replica watches are mostly to miss this feature. The interior of a real watch band should bear the model and serial number in evenly shaped letters but counterfeits might show misspelled engravings, which give you a red flag. Almost all Rolex watches have a plain case back of polished steel or metals, devoid of any decorations and engravings except the Sea Dweller collection which exhibits “Gas Escape Valve” writing on its back, made of titanium. Also, the rare 1030 collection has a clear case back, allowing you to see the inner mechanism of the watch, so except these two sets, any watch having a crystal or plastic or see-through case back claiming to be a Rolex is surely fake. Original Rolex watches have a crown, made of single piece of metal, along with the official logo on it. But fake ones display a poor quality logo made of two or more materials glued together which is far from being fine. You must also remember, that some real watches come with the famous triplet logo on the crown, having three dots under the official crown logo. You will find this feature in the Sea Dweller, Daytona and Submariner collection with a gasket sealing off the interior of the watch from the water. There is a black-o-ring in these genuine watches. As far as fakes are concerned, they have cosmetic gaskets. Genuine Rolex watches have different styles of hands for each model. For example, the Day-Date collection has short hands with flat tips while the Yacht-Master collection exhibits broader hands. 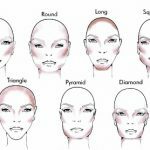 But whatever the style, there is no ticking sound and the hands run smoothly, as each second is sectioned into eight micro ticks. You will miss these in counterfeits. Real watches efficiently change dates right at 12 O’clock at night and sometimes after a few minutes but that too very rarely. But if you see that it is taking more than fifteen minutes to change the date then it is not real. A finely etched logo is a major sign of a real Rolex as fake watches cannot imitate the technique of copying the logo as precisely as the real manufactures. The original manufacturer used to make a three-dimensional hologram for the watch models until 2007. But fake watch used to have low-quality stickers instead. The magnifying glass on the date window is known as cyclopes. While real watches enlarge the date by 2.5 times of the normal size, fake watches have glasses that only magnify the date by 1.5 times. A genuine cyclops is positioned right above the number of the date, but a fake one might be disoriented a little by the side. An authentic Rolex has GMT hands, positioned tightly between the minute and hour hands whereas a fake Rolex shows GMT hands that are close to the dials. The real watches have their serial number engraved in between the 6’o clock lugs and model case numbers in between the 12’o clock. Post-2005, the manufacturers have started etching the serial number on the bezel positioned under the crystals of the 6’o clock. Counterfeit watches fail to produce such features. Authentic watches are waterproof and perform perfectly well even 100 meters underwater, especially the Oyster collection. But fake watches are likely to be dysfunctional if they come into contact with water. The real Rolex watch has automatic and self-winding movements but a fake watch will have quartz movement. There are exceptions of course, as the Oysterquartz Rolex were manufactured with quartz movements. Also, the movement number should match the particular model. 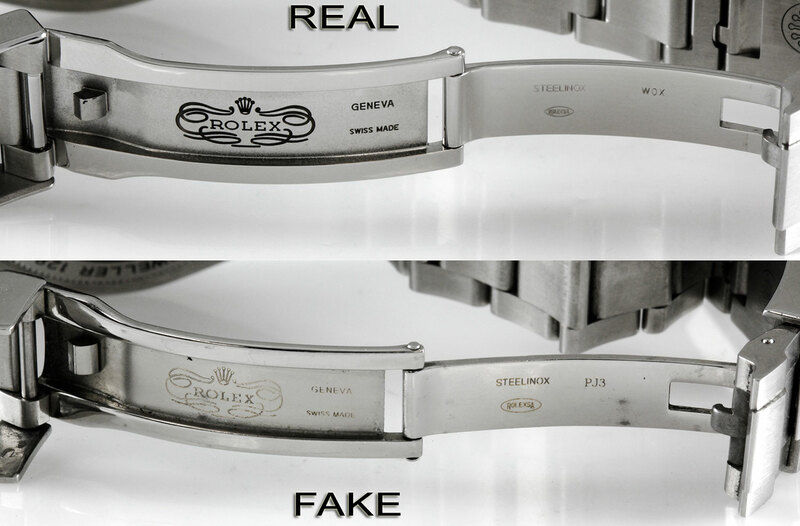 Fraud watchmakers sometimes insert fake movements of a watch into an original Rolex case. Since genuine Rolex watches are made of supreme quality metal they are heavy. Unlike them, fake Rolex watches are light. The real watches will be costly because of the best quality materials and smooth features. 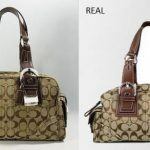 But fake ones, despite missing some major essential features might be pricey as well, be careful and don’t fall in traps of fraudulent sellers.